Very pretty 15.2hh 10 year old mare with fantastic extravagant paces, fantastic BD prospect. 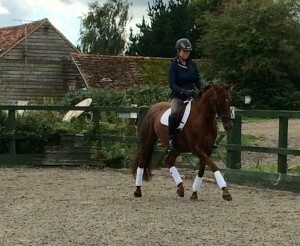 Has very low mileage but has won every class she has entered at unaffiliated dressage. 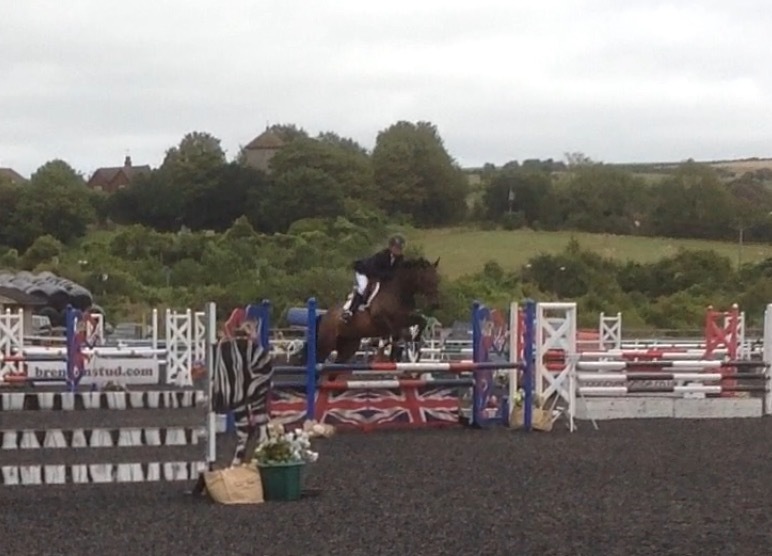 Happily jumps round a course of 80cm at home. Hacks alone and in company. 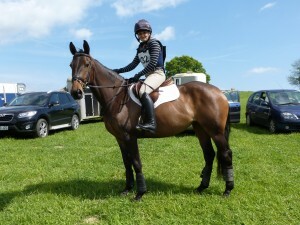 Really genuine mare with a sweet nature, but can sometimes be spooky so not a complete novice ride. Easy to handle, load, clip, shoe.Could be a real bargain for the right person, currently wasted as we do not have the time to do her justice.£2,800 Please call Liane on 07894 551755Click here to see a video of Belle. 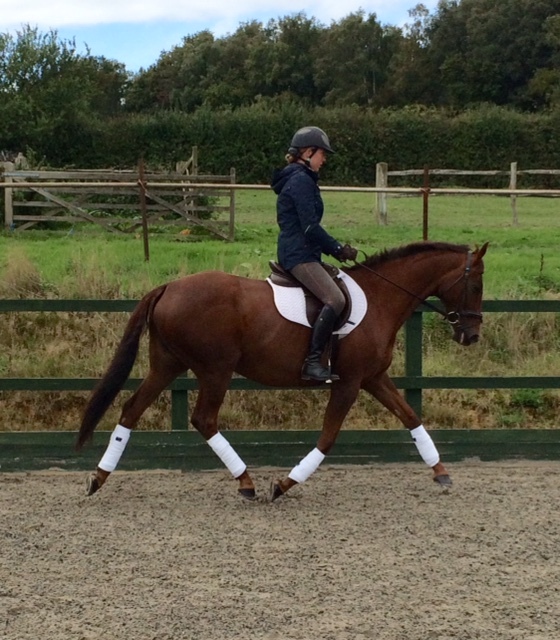 Talented 15.3hh 6 year old mare with an exciting future ahead of her.Bred to event, by Beach Ball Ex.OBOS Quality(ranked in BE top 20 event sires 2015).She has low mileage for her age but was quick to learn and has been a pleasure to produce.Scored 27.5 dressage (all 7’s & 8’s) at her first event in 2015, and is consistently in the top 5 after dressage. 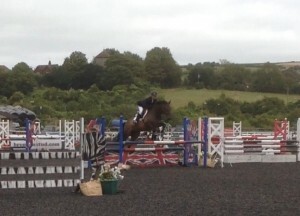 Placed 2nd at her first event of the year in 2016.She is bold and strait forward to any fence and has jumped double clear BS British Novice on a ticket, and clear (and placed) in 1m combined training. Would suit young rider coming off of ponies, or serious amateur wanting a straight forward horse to aim at grassroots and beyond. Everyone that rides this lovely mare wants to own her! Sound, vice free and ready to compete. Please call Liane on 07894 551755 for more details.